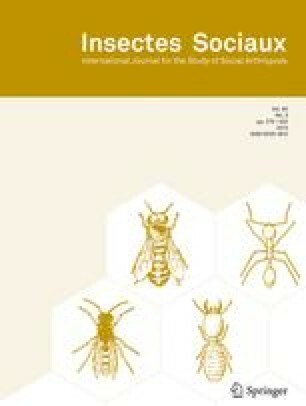 This study used the microsatellite locus B10 to determine the frequency of colonies with multiple patrilines in a previously unexamined group, the North American bumble bees (Bombus). The effective mating frequency (me) was greater than 1 in six of 28 colonies. Five of 11 species tested showed at least one incidence of polyandry: four species from the subgenus Pyrobombus (B. bimaculatus, B. impatiens, B. mixtus, B. ternarius) and one species from the parasitic subgenus Psithyrus (B. citrinus). The B10 locus showed high cross-species amplification success for North American Bombus.